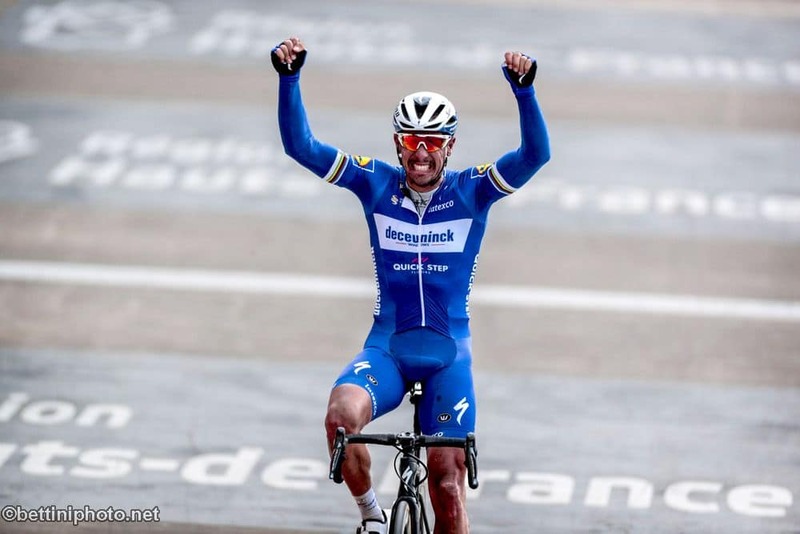 Belgian veteran Philippe Gilbert won the Paris Roubaix cobbled classic on Sunday after a cat-and-mouse final struggle with Germany’s Nils Politt. Gilbert’s compatriot and teammate Yves Lampaert was third. Gilbert pulled ahead with 50 meters to go before crossing the line in emotional scenes. “We both deserved to win,” Gilbert told reporters after gleefully riding his bike all the way to a desk in the press center. The race was marked by relatively few crashes, although Tiesj Benoot went to hospital after crashing through the back windscreen of the Jumbo-Visma team car that had braked suddenly to miss a falling rider.